Although 2016 seems light years away and I am up to my eyeballs in custom holiday orders, the new year is coming in hot and fast! Start preparing in style and download the new FREE Ladie Katie 2016 Yearly Overview Calendar featuring some of my favorite stylish paintings and drawings. And speaking of the holidays, have you entered my giveaway yet? Ring in the New Year with new goodies! I've gotten together with some of my favorite GIRLBOSS makers and shakers for a fun holiday giveaway! Checkout my instagram for more details but here's a list with links to the other girl bosses involved. You do not want to miss out on these missies! Talk about girl power--these bossy babes inspire me and will inspire you too! Sewing up a storm with her badass handmade headbands. Beautiful handmade jewelry. Her wire wrapped bangles are so fabulous. The cutest (and pinkest) paper goods and illustrations. Don't let the name fool you --she's not just packin silver! Check out her metal stamped everything for a unique gift. She is not just a pretty face! Specializing in silk bracelets, she makes pretty things with purpose. 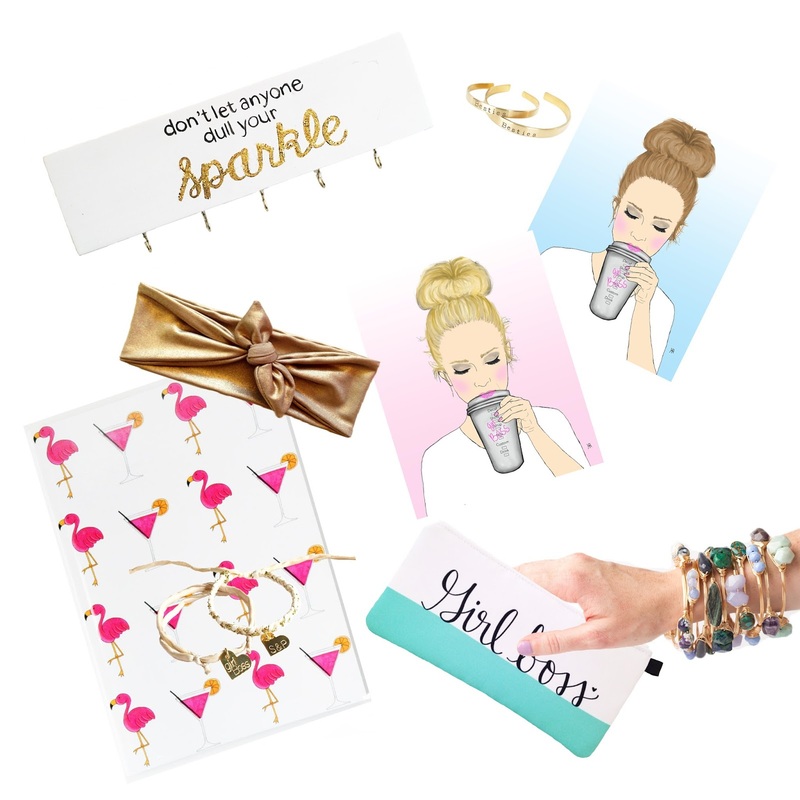 My original business bestie, Dayna makes sassy and inspiring hand lettered goods.